It’s been a couple of years since I last drew a fire hydrant, no kidding. 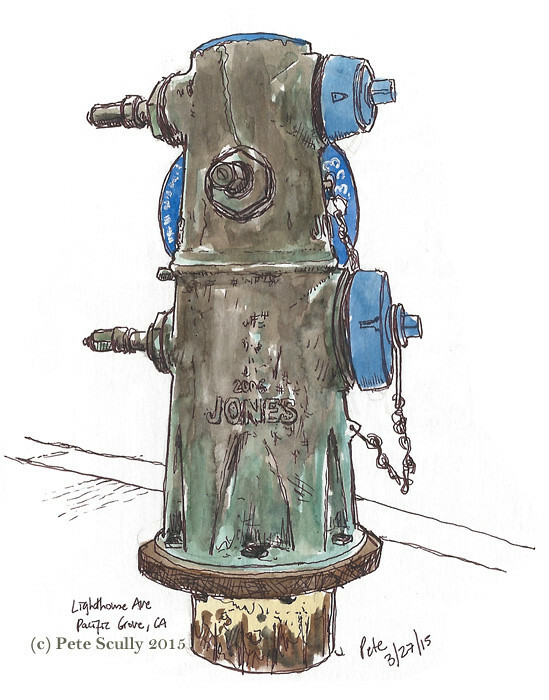 That is, a sketch of a hydrant that is not a smaller detail of a bigger picture. Oh and not counting the underground one I drew in London last summer. So on our recent weekend away to Pacific Grove, on the Monterey Peninsula, I took the opportunity to sketch at least one that I’ve not captured before. Felt great to sketch a new one after all this time. 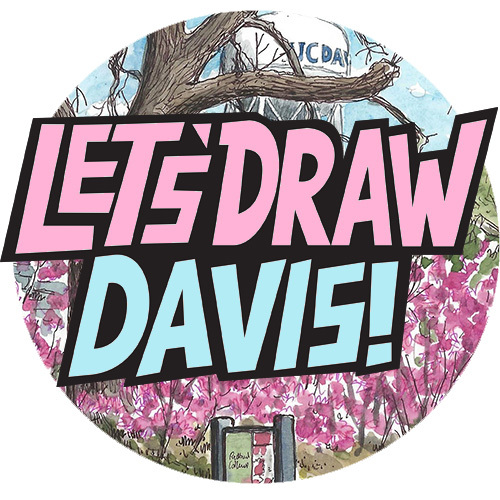 I’ve not sketched any because I haven’t seen any I haven’t already sketched. Yeah, I’ve sketched ‘Jones’ ones this shape before I’m sure, but not this colour, this weird weather-worn slightly oxidized metal. It looks like an ancient junked-up Dalek. This one is up at Lighthouse Avenue, in Pacific Grove, and I giggled away listening to the Football Weekly podcast while sketching it. Oh fire hydrants, it is good to be back. Hey, if you want to see the rest of them, why not go and my ‘hydrants and pipes‘ set on Flickr? Cheers Larry! I’m looking forward to a trip to LA at the end of the month, they have great fire hydrants there. Yay great to see them back. Great sketch.